Blair Walsh is put to the test having to kick a 52-yard field goal in the Monday night football game against the Atlanta Falcons. The Seahawks are down 31-34 with seconds remaining and Walsh is the only option to tie the game. The ball is snapped and Walsh kicks; the ball is on frame but inevitably falls short. This game, no, this play is the main reason Seahawks fans blame the terrible kicker for the Seahawks’ failure to advance to the NFL playoffs in 2018. This season alone Walsh made 21 out of 29 field goals, a 72.4 percent average, the lowest in the NFL. Many of the missed field goals could have been game winning, ending up with the Seahawks advancing to the playoffs. For instance, in the game against the Redskins, Walsh missed three field goals before the end of the first half. Because of this, they lost 17-14. Or the first game of the season against the Arizona Cardinals when Walsh missed a 48-yard field goal which would have resulted in a win for the Seahawks. Personally I never enjoyed when Walsh had to kick. There was excitement in my home when he actually made a field goal, which should not be the case when rooting for your own team. He should be able to make any field goal from 45 yards or closer, depending on the weather. Walsh’s treachery all started way back when in 2016 while playing for the Minnesota Vikings. During his career in Minnesota, he happened to miss a field goal while playing the Hawks in the NFL wild card game. He missed a 27-yard field goal resulting in a loss. For some reason, the Seahawks traded their star kicker, Steven Hauschka, to the Buffalo Bills and picked up this terrible, game-blowing kicker. I do not agree with this decision, because of the terrible season he has had. The Seahawks should have kept Hauschka on the team because of the wonders he has done for this team. 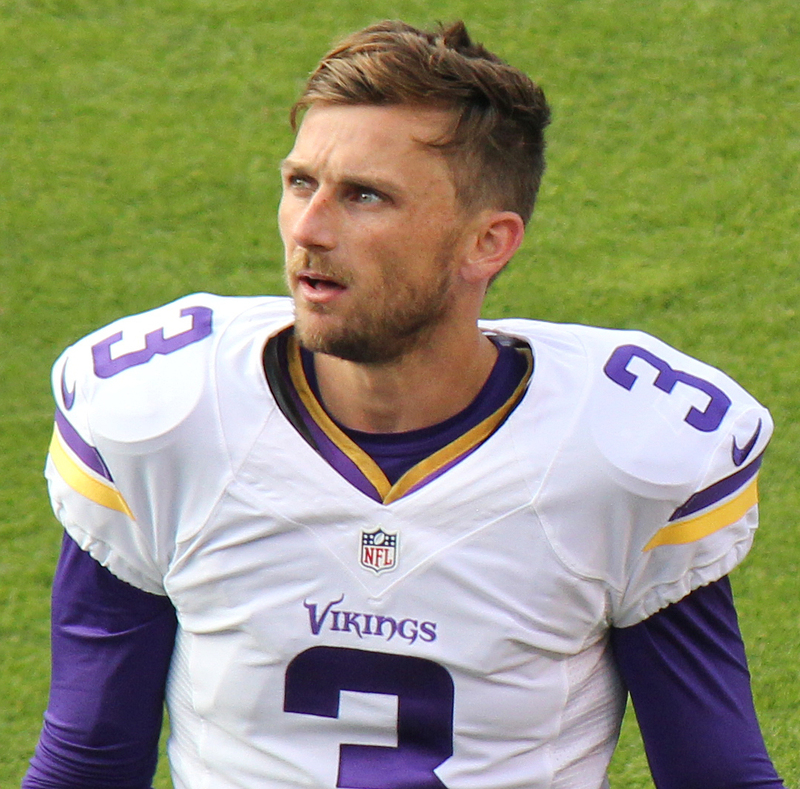 Also, when they traded Hauschka, the Hawks should have done more research into the background of Walsh, especially because he gave up the wildcard spot for the Vikings only a year later when he missed arguably the easiest field goal in the game. After making a whopping 21 field goals this season, many critics would say he is a great kicker. Their opinion is wrong. Walsh missed eight field goals, some being the easiest field goals. Or they claim the reason the Seahawks lost all those games this season was due to the offense and defense not doing their job. But the whole point of the offense is to march down the field and get into or as close to the endzone as possible, allowing for the field goal kicker to do his job. Walsh is not reliable enough, resulting in the offense have to push as far as possible, sometimes even going for a first down or a touchdown to try and win, risking it all. Some say that it is the offensive coordinators’ fault for making false play choices. But the same answer can be use; Walsh is not a reliable kicker. He has the lowest average of field goals made this season. I do not understand how someone can get paid 3.5 million a year to do his job 72.4 percent of the time. At the beginning of the year, there was hope for Walsh. But many Seahawks fans were still in mourning at the recent trade of Hauschka. He had done a lot for the Seahawks, kicking many game-winning field goals. When Walsh joined the team, replacing Hauschka, he turned the tides to the worst. Most of Walsh’s missed field goals resulted in losses, which is the main reason for the disappearance of the Hawks in the playoffs this year. I really hate that the Seahawks traded Hauschka in return for Walsh. It was a terrible mistake they should have never thought of doing, but they did it anyways, resulting in my loss of hope for the Seahawks special teams. Blair Walsh needs to be fired as soon as possible for the Seahawks to have a chance next year at making the playoffs. We, as Seahawks fans, need to come together and start a petition to fire Walsh. Drop him out of the NFL, he does not deserve to play for the Seahawks. They are too good for him. He should have dropped out before even coming to the NFL.